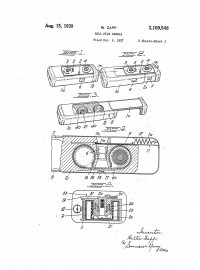 Take a look at some early subminiature camera designs and patents. Established in November of 1996 (@listserv.aol.com), the Subminiature Photography Mailing List / Digest has a membership of subminiature enthusiasts from around the world. We discuss all things related to subminiature cameras, and subminiature technique, focusing on the traditional film and darkroom experience. If you are a user of any subminiature camera, whether it be Minox, Yashica, Minolta-16, Tessina, Gami, or any other - Join Us! 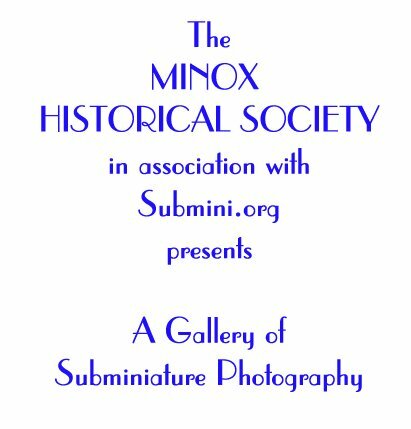 Submini-L: The Subminiature Photography Mailing List is an Internet Mailing List dedicated to the art and practice of Subminiature Photography. We invite you to investigate the list, SubminiSales: The Subminiature Photography Classifieds. This moderated, low volume list has been created for the sole purpose of buying and selling subminiature camera equipment and services. All sales are strictly "user to user". Submini-D: The Digital Subminiature Photography Mailing List, dedicated to the art and practice of Classic Subminiature Photography but with a modern slant. Do you use a Subminiature camera with a Digital Darkroom? This is the place to discuss the topic. Scanning technique, equipment and software are all "on topic". 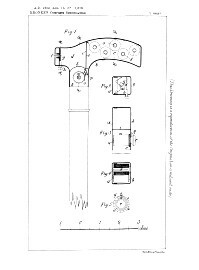 Do you think a digital Subminiature is in our future? Express your opinions!